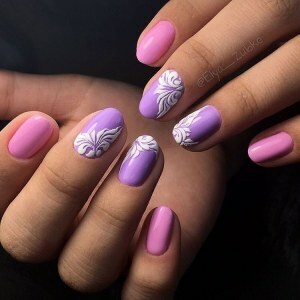 Pink and purple gel lacquer, white velvet patterns on the middle and ring fingers, short oval nails. 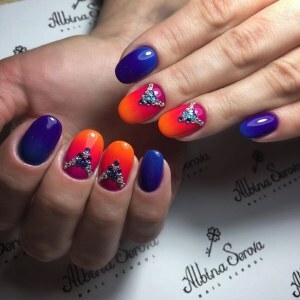 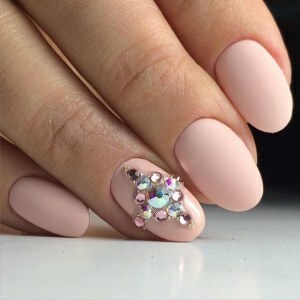 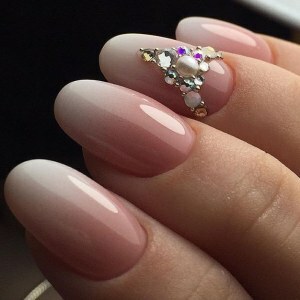 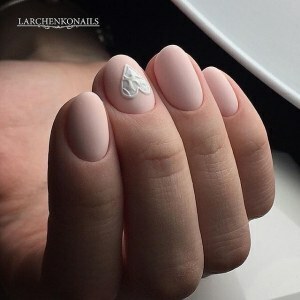 The idea of pink nail design. 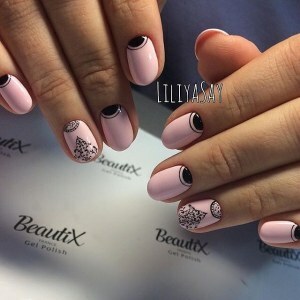 Black and blue nails with pattern, inlaid crystals and beads.